The Far North is a region shared by Canada, the U.S. (Alaska), Russia, Denmark (Greenland), Norway, Iceland, Sweden and Finland. For those who don't live there, the region appears to be a bleak, desolate place of snow, ice, glaciers and bitter cold. But the Far North is home to many plants, animals and people who have developed remarkable ways of adapting to one of the harshest climates on Earth. This book in the Kids Book of series examines the region's fascinating history, modern life and fragile ecosystem with facts, stories, legends, illustrations, timelines and maps. About Jocelyne Bouchard (Illustrator) : Jocelyne Bouchard is a published illustrator of children's books. 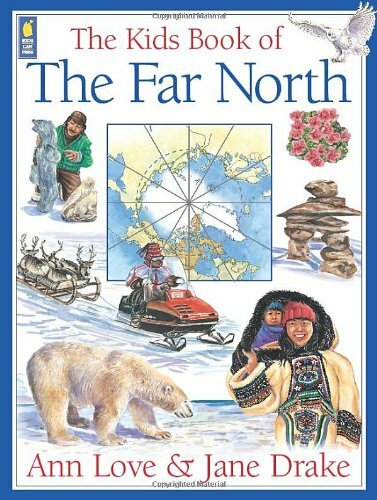 A published credit of Jocelyne Bouchard is The Kids Book of the Far North (Kids Books of ...).